Please find attached your invitation for the book launch of Murder By The Prosecution by Former Tasmanian Premier Lara Giddings at 11am on Thursday 6th September in Hobart at Fullers bookshop, 131 Collins St, Hobart Tas 7000 to follow with a book signing at 5.30pm. Film critic turned activist journalist Andrew L. Urban has released his new book ‘Murder By The Prosecution’ published by Wilkinson Publishing. The book exposes some of the mistakes and failures of the criminal justice system in Australia. Andrew recounts how his life is changed when he is drawn into the field of wrongful convictions after reviewing a documentary about the case of Hobart grandmother, Sue Neill-Fraser, convicted of murder — without evidence. He also examines other cases including those of Gordon Wood; the hunter as prey, wrongly convicted murderer Henry Keogh and the saga of sorrow for ‘body in the freezer’ murder case with David Szach. Andrew L. Urban* is Publisher & Editor of urbancinefile.com.au, Australia’s award-winning weekly online movie magazine (weekly 1997-2017). As a freelance journalist since the 1980s, Andrew L. Urban has contributed over 2,000 articles and interviews to The Australian and The Australian Magazine, Sydney Morning Herald and Sun Herald, The Bulletin (no longer published), and many specialist publications. He created the iconic prime time TV interview series, Front Up and was Host on the World Movies Channel for 6 years (2002 – 2007). He was co-editor of Edge of the Known World, the history of the first 25 years of the Australian Film TV & Radio School. His first novel, If You Promise Not To Tell (Hodder Headline, 1995) was nominated for an inaugural Ned Kelly Award (crime fiction). I have no knowledge of the Sue Neill-Fraser case other than media reports and the doco referred to. The evidence may have been weak and the conviction may even be unsound, but to suggest that she was convicted “without evidence” is stretching credibility. Also, why describe her as a “Hobart grandmother”? What is this meant to imply? Are we supposed to identify her with our own grandmothers? I reserve my judgement about the book itself. Pat ... I totally understand your query about the claim that she was convicted without evidence. It does seem incredible. And that’s why this book came into being. It is a wholly circumstantial case, and there was no direct evidence led, hence the grave concerns of every QC and lawyer who has looked into it. As for ‘Hobart grandmother’ as a shorthand label, it is in the same vein as media reports describing alleged perpetrators as ‘father of two, bricklayer’ etc. I hope the book will start a conversation about the reforms, outlined at the end, which were discussed at a symposium on miscarriages of justice. Please refer to them. And thanks for taking the trouble to comment. A murderer is a murderer whether a grandmother or a priest. No evidence? Read the trial proceedings. Give it a rest guys. In the old days she would have been hanged and the issue would have been put to rest .. literally. I wonder if anyone is likely to put this much effort into documenting the lies, attempted corruption, bribery and general stuffing up by SNF and her team. On the other hand, it’s probably not necessary. Any time there’s a story in the media about the case it talks about the distinct lack of “fresh evidence”, and the addition of fake evidence, and yet more unrelated irrelevant contributions from her supporters. If SNF is truly innocent and her cause is just, then why on earth would she and her ‘supporters’ undermine any chance of overturning her conviction with an organised campaign to falsify evidence, cajole or pressure potential witnesses? Add in that they were also stupid enough to allow a doco crew to film the making of a false sworn statement, and you really have to wonder what’s going on here. And don’t come back at me with some foolish ‘ends justifies the means’ argument due to a lack of faith in our judicial system. As for the suggestion of ‘without evidence,’ this is also foolish. There was enough evidence to compile a brief to convince the DPP to prosecute without a body, enough to convince a jury of her peers, and enough for a Judge(s) to form the view that the conviction was sound. I think it would be more accurate to suggest that SNF supporters don’t like the nature of the evidence tendered to the Court. My experiences of several Tas Supreme Court actions involving the logging industry or its government supporters, as well as being a law graduate, have left me .. as they famously left former Tas Anti-Discrimination Commissioner Jocelyn Scutt QC, with “no faith in the Tasmanian justice system” whatsoever. Legal goalposts around here can indeed fly, if suitably rigged. Andrew, I find this snippet very misleading. It sounds like a happy couple sailing their dream yacht home. But we know this wasn’t the case. We know that Bob was left behind with medical issues. We know the boat was plagued with trouble. We know what SNF’s shipmates had to say about the trip down, and Sue’s attitude towards her relationship with Bob. It seems you are painting a somewhat different picture. Why? As for all the shenanigans such as note passing in jail etc .. I guess this book is part 1. There is far too much weight given to such flimsy evidence. It only served the Crown’s case that they were in conflict to support some alleged motive. Sue’s family has denied the proposition. It’s naive to imagine that couples live perfectly harmonious lives unless it ends in murder - and that their conflict was so severe as to motivate a murder of considerable violence. #8 ... You hardly have to be any kind of expert to answer questions about conversations had or heard. Please, why did you paint the picture that they sailed down together? The comment about couples, and perfectly harmonious lives, is a bit silly. # 9 ... In the context of giving evidence in court, you do have to be an expert in the field of evidence you are giving. Them’s the rules. As for my comment being a bit silly, you are entitled to think so. Experts witnesses are allowed to interpret evidence. Non-expert witnesses are only allowed to say what they heard and saw. In this case, several no-expert witnesses were told directly by Sue that she and Bob had separated. Some also saw the greeting between Sue and Bob when the yacht arrived in Hobart. It was then up to the jury (who weren’t necessarily experts in relationships or human behavior) to assess whether the evidence that was provided by these non-expert witnesses is convincing enough to conclude that Sue considered her relationship with Bob to be over. Here is one of the witnesses who was told by Sue on about the 8th of Jan that she and Bob had separated. If one ignores what Sue told several men (who were practically strangers) that she and Bob separated, then one isn’t representing or considering the true and the whole case that was presented to the jury. PS: None of the eyewitnesses who saw a dinghy at the port-side of Four Winds were experts in the field of visual perception. They were not there to interpret whether the dinghy could have been white but was perceived to be grey. They were there to provide evidence of what they saw. #10 ... Please, why did you paint the picture that they sailed down together? I won’t go away. You, Eve Ash. Gary and Barbara. Lynne the list is lengthy. You have pointed the finger and online bullied an innocent young girl. Google her name for evidence galore! Enough is enough. SNF guilty as charged. End of. In the vein of removing the patient from the carcinogen they are bathing in (rather than endlessly excising the resulting tumours of which this legal debacle is yet another) wouldn’t a legal system designed around a real search for the truth by trained judiciary be a huge step forwards? The late Evan Whitton has forensically documented the many ways in which the English legal system, under which this matter has decided, is anything but a search for the truth. #14 ... Indeed. The late Evan Whitton’s booklet ‘Our Corrupt Legal System’ is a terrifically interesting work. Seek it out. I have studied all four cases that the book is about, and in particular the Keogh case and the Neill-Fraser case. I will write about my impression of the book after I read it. If the contents of the book are as exaggerated as Andrew’s writings on his website (and on TT) then I am in for some ‘explosive’ reading time after my local council library informs me that the book is available for loan. Unlike Andrew, I read the trial transcripts in both the Neill-Fraser case and the Keogh case before I exposed my brain circuits to documentaries. That means that I wasn’t influenced to any significant degree by biased or limited views that were presented in documentaries, and was therefore able to explain some of the evidence in a totally different way. In the Neill-Fraser case I quickly worked out that when one considers the viewing geometry that some eyewitnesses found themselves in when they looked at the port-side of Four Winds then it becomes obvious that they were looking in the general direction of the sun. The direct light from the sun and the light that was reflected from the water (ie the glare) would have swamped the observer’s visual system to the extent that it would have made viewed objects appear to be darker than they actually are, particularly when there is no direct sunlight on the surface of the viewed object (the dinghy) that was facing the observers. In other words, it could have been Sue’s white dinghy at port-side of Four Winds but was perceived to be grey. I also worked out that the winching had to be done in 3 phases and that the the third phase (lowering the body onto the dinghy, via the stern gate) would have (because of the geometrical arrangement of the winch) posed a significant risk of injury to the perpetrator’s left wrist. Given that the winch has a significant power ratio (27:1) it would have been quite easy, but time consuming, to rig up the ropes for the three phases and then execute the removal of the body from the yacht onto the dinghy. In the Keogh case I conducted bathtub experiments and noticed something that not a single forensic pathologist noticed. All forensic pathologists in this case failed miserably to work out the most probable reason for Ms Cheney’s death. In the Wood case, I could not find any scientific fault in the work of Assoc. Prof Cross (and I am far better qualified in physics than the Appeal Court judges who faulted Assoc Prof Cross’ work). What I found was that the Appeal Court judges didn’t quite understand the science to pick out the error in the experiments that were conducted by the defence expert witness. I like to stress that it is difficult to change one’s mind after the brain becomes entrenched in looking at the case in a certain way. It is therefore best to first read the official documentation before exposing the brain circuits to documentaries. I say this because documentaries are generally made in order to influence people’s perception about the case. They do not, in general, present all the incriminating evidence but over-emphasise or misinterpret the evidence in the favour of innocence, and often have powerful emotional content (including dramatic music) that can have a powerful effect on a person, and that person’s perception of the case. The best example of this is a 10 hour docu-series ‘Making a Murderer”. “Sue Neill-Fraser, convicted of murder — without evidence. Without direct evidence but sufficient indirect (circumstantial) evidence? 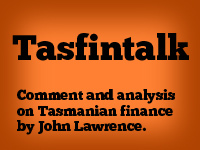 In recent months we have had a torrent of evidence re the habitual mendacity of the Tasmanian Government. Combine that with the striking absence of the “beyond reasonable doubt” requirement for a murder conviction in the S N-F case. In the Falconi murder case Peter Murdoch was convicted without direct evidence. Mr Urban, would you write a book claiming that rough looking man is innocent? #6, #18 ... Your vague references as to how dodgy our judicial system may be at times is of course just spreading FUD. Attempting to discredit certain processes has nothing to do with the specifics of this case, or perhaps you’re aware of something fishy about the trial the rest of us are not. In which case, would you care to enlighten us? John Wiseman, Peter Falconio’s mystery disappearance claimed as caused by a suspected Bradley John Murdoch, this was the case referred to by former DPP Tim Ellis in order to enable a precedent case as an exhibition of a conviction without the body of the presumed dead person nor any valid testamentary fact evidence to have the court and jury decide the fate of SNF. There is far more to this Falconio case than that which has not been fulsomely released. The fact that Joanne Lees had engaged in an affair with some character during her travels with Peter Falconio in Australia is a cause for considerable concern as a possible motive. Deep research into the circumstances as well as the alleged factual evidence, is deemed to be essential. Currently, this case can be construed as an example of the alleged perfect murder occasioned by the only witness to the incident. Thereby a deeper consideration that Bradley Murdoch may have been framed by the investigating police. Will Mr McLaren return to Australia to be cross-examined? I wonder whether Eve Ash also skipped the country. Based on the video evidence it does appear that Eve Ash would have been aware that when she was typing the statement for Ms Vass to sign that the statement was invented by Mr McLaren. If it proves to be so, then Eve Ash knowingly participated in the conspiracy. #21 ... In your argument you state “The fact that Joanne Lees had engaged in an affair with some character during her travels with Peter Falconio in Australia is a cause for considerable concern as a possible motive.” I had not heard of this. Has the other person in the affair come forward? Motivation by hurt love has merit. I am like you with my suspicions of motivation in these cases. I see a person gaining significant property by the death of their spouse as even more convincing. In the recent podcasts on Richard Fieldler’s ABC program there is an interview with the current NT Childrens’ Commissioner. She was formerly the detective in charge of the Peter Falconio case. Those seeking to pursue that line and those who are interested would do well to download that podcast and listen to it. From what I heard she sounded like a pretty straightforward individual who was proud of the job done in that case. #25 ... Think about it Simon, Joanne Lees give her testimony, despite no witnesses to challenge her testimonial evidence, and this then stood as the prima facie assumption to serve as the cause to convict Bradley John Murdoch. One must recall that he was convicted on the glib basis of the suggestion of others, well before she knew of this man Murdoch who had become the major suspect. ‘Prima facie’ may be used as an adjective meaning “sufficient to establish a fact or raise a presumption unless disproved or rebutted.” An example of this would be to use the term “prima facie evidence.” A prima facie case is the establishment of a legally required rebuttable presumption. There is very little apparent evidence to allow a conviction of Murdoch simply by ‘the Alice in Wonderland’ claims alleged by Joanne Lees. Yes, I have studied a number of media articles that dwell on the serendipity of her movements between her primary claims of that night’s events, where a number of the serendipitous alterations to her actual claimed actions could not be logically stacked up as credible. The night spent on the scene by your comment nominated former serving female Police Detective has nothing within it to add to the mystery of how the claims of Joanne Lees were accepted to be her factual testimonial evidence. A person acquainted with acts of deception must be considered in light of the former yet admitted deceptive behaviours. Know them by their deceptions. Simon #25 ... I agree. I heard the conversation, and the detective told how finding Ms Lees’ hair ribbon (?) hidden in Murdoch’s vehicle had a visible effect on him in court. Is someone going to say it was planted by the police? #27 ... Thank you, John Maddock, for this item of evidence, more-so if it is a substantiated fact. It is beginning to look very likely that an ex-cop (Colin McLaren) was the mastermind behind the conspiracy to pervert the course of justice in the Susan Neill-Fraser right-to-appeal application when he couldn’t find any witnesses who could place Meaghan Vass in Sandy Bay, or on the Four Winds yacht. Well, sorry for yet again another long winded comment … it’s me … my long-windedness is who I am and it’s how I think … can’t say it all in a few simple words. I found some days ago that I was disappointed at the tenor of the initial comments that were posted on this thread. That disappointment told me something about myself, and it asked of me as to where I stood in relation to the question of Susan Neill’s Fraser’s innocence. I began (some years ago) from a position where I knew not whether she were innocent or guilty, yet in then reading the trial transcript, then believed that Justice Blow had made an error of judgement when he decided not to allow Meaghan Vass to be recalled to the stand. Certainly, as I had read the relevant law – amateur that I am – I was of the belief that Justice Blow was permitted under the Act to exercise his own discretion as to whether Vass would be recalled. I still think that the law gave him that discretion. He gave his reasons for not allowing Vass’s recall to Counsel, in the absence of the jury. With hindsight, he might yet see those reasons as shallow at the least and from the point of view of justice-outcomes, offensive to society-at-large. The recall request had occurred when at the trial it was learned from a detective’s evidence that on the night of Bob Chappell’s disappearance, Meaghan Vass’s whereabouts were unknown. She had supplied her refuge/women’s shelter with an address at which she was going to stay for an overnight ‘sleepover’. It was later discovered that no such address existed. Dtv. Sinnitt, though he tried to locate her/identify where she had been, was not able to do so. For example there is Eleri Harris’s ‘Reported Missing’ graphic rendition of the tale as told by Sarah, Sue’s daughter. I regard that as evidence in itself - albeit unsworn - comprised as it was, of a transcription of an interview and rendered into a graphic format. There is also the new evidence, presented at various hearings from Oct, 2017 to August 2018. Yes, sure, they are evocative, and they can be readily registered by the listener .. the image: .. a wrench (whatever type comes to your mind when you hear the word), .. Mr Chappell (a man whose picture jurors may have seen, and if not seen by them, then perhaps a mental image they had formed of a chap in his mid-sixties) .. the idea of striking such a man from behind .. and somehow killing him. These are formative images. Mr Ellis’s narrative-question achieved a graphic effect. It works for me .. I can see it happening.. somewhere down there in the Four Winds interior.. this image of Susan Neill-Fraser, coming at Bob Chappell from behind and with a big wrench in hand and whacking him in such a way as to kill him. Yet the evidence to the court gave no location within the yacht of that conjectured act. It did not identify a weapon. It seems only to have gained its existence through DPP Ellis’s baseless accusation. Baseless - because there was no evidence to support such an accusation. There was no wrench produced in court, but the seed of the imagined wrench, once planted, seems to have germinated, and grown to a point where the judge himself seemed to have had difficulty distinguishing between the world of the speculative and that of the real. And yet the jury convicted Susan Neill-Fraser of (beyond reasonable doubt) being guilty of the murder of Bob Chappell. Had I been on that jury, I could not have agreed with such a verdict. We are not such a beguiled cohort. Perhaps most of Sue’s supporters believe that she is innocent. Fair enough … no argument from me on that one - I have my own view. We all have our own knowledge, insights and so on. But others amongst us ‘Supporters’ simply believe at the least that she was not afforded justice … that she did not receive a fair trial. They – we – believe that on the evidence provided to the trial court and - given Justice Blow’s refusal to allow Vass’s recall - the trial miscarried. From what I know of the case, it is possible that Sue Neill-Fraser is innocent. Conversely, it is possible that she is guilty. There is simply – in my opinion - no evidence of the type that would allow a guilty-beyond-reasonable-doubt verdict. And in stating that, I repeat that I have now heard all the ‘fresh’ evidence from the witnesses who (since last October 2017) have testified ... every one of them. I heard Meaghan Vass herself give her evidence in Oct 2017. She was the first. And the last (this very August 2018) was Dtv Sinnitt who now has given dates of two police reports linking Vass to a person who had 11 prior offences … the reports which linked her to this person were in Jan 2009, prior to Bob Chappell’s disappearance. Then we heard (from Dtv. Sinnitt) of thefts/burglaries on the 28-29 Jan 2009 … the day or so after Bob Chappell’s disappearance. It is unclear (to me) whether Vass participated in these burglaries, though apparently she at least knew of them before they took place. 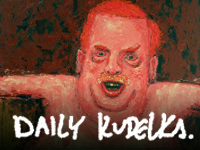 The (in my opinion) concocted Tim Ellis version floats now on the surface of a ‘She is guilty’ public narrative … and on the surface of that narrative, the sun shines and the ‘Truth’ is just as the prosecutor painted it ... but below the surface, real truth – I’m referring not to what those such as Ellis have imagined, but to what I’ve gathered, assimilated etc from the courtroom evidence … real truth seems to be again and again submerged in a sea of opinion and in a mire of political and legal necessity. I don’t think we will ever have much chance of knowing what actually took place. That chance was there once – back when police were investigating Bob’s disappearance. What is taking place now is a judicial rather than investigative process. I’m reading Andrew’s book (Murder by the Prosecution /Andrew Urban; Wilkinson Publishing, Melb. 2018): He (in my opinion) will have to do a Murder by the Prosecution : Part II. ‘Part I’ is very readable, and includes material which is quite interesting. But the Neill-Fraser case will not go away. Whether, as a result of this ‘Leave to Appeal’ application or whether due to our future continuing search for the true answers, this case will not go away. We want understanding and truth, and ‘flip’ rejoinders won’t do the job. -There’s the ‘Pargiter’ group who on that night came ‘out of nowhere on a dinghy’ then proceeded past the fence on the corner of Margaret St and Marieville Esplanade. The next morning a red jacket (with SN-F’s DNA and other unidentified material on it … probably from the Four Winds yacht) was found on the brick fence of that house on the corner. -There’s Klaus Haeussler who was seen by Peter Lorraine on the deck of a yacht directly off the Derwent Lane jetty. (Somehow during the trial, Haeussler’s two-master (i.e. a ketch) was presented (without actually naming it as such) as the Four Winds, which in appearance is very similar to Haeussler’s Ludus Amoris. Klaus Haeussler continued his marathon global voyage the very next morning, leaving that Derwent Lane spot and passing the scene of the sinking Four Winds, with the marine police and others pumping the water out of it. There is no suggestion here that this gentleman was in any way connected with whatever transpired two or three hundred metres away on the Four Winds. -Between that Ludus Amoris belonging to the Haeussler’s and the Four Winds belonging to Bob Chappell and Susan Neill-Fraser, was a third vessel, the Southern Wright which belonged to Paul Wroe. -There is also the realisation that Barbara Zochling saw Bob Chappell’s sister Ann Sanchez berating him down there by the rowing club at Short Beach. And there is the second realisation that this occurred not on ‘Australia Day 2009’, but on the Sunday of that 2009 Australia Day long weekend … i.e. the day before, when they set off for the trip to Bruny Island. Zochling’s evidence was erroneously (in my opinion) used to suggest that on the next day, Susan Neill-Fraser had been seen arguing with Bob Chappell down there on Short Beach, Sandy Bay. -And we have the evidence of Stephen Gleeson. He was living there on the night in question. It is believed that he identified a teenage girl who visited his van ‘that night’ (and whose DNA was later found on the Four Winds). It is believed that she was the same girl who told the trial that she’d never been on a yacht, that she didn’t know or mix with older types like [Wroe] or Gleeson; a girl who had later signed a stat. dec. saying she was on the Four Winds that night and that Neill-Fraser wasn’t on it, a girl who even later told the Oct 2017 court that she’d been forced to make that statement, that it wasn’t true. Conclusion Detective Sinnitt recently gave in evidence that this girl had a substantial outstanding drug debt. Her name was associated in evidence with that of the leader of a Hobart ‘Outlaw Bikie’ gang. My life experience is that addicts lie and that ‘outlaw’ bikies are vicious. Certainly, Andrew Urban needs to write a ‘Part Two’. We are nowhere near yet an understanding of what happened at Sandy Bay on 26 Jan, 2009. I’ve read the first (major) section of his book and am working my way through the other cases which he examines. I recommend others read it. It will inform them, and set them on the path to further research. #33 ... How does Mr Hughes’ statement about an inflatable motorised dinghy compare with Mr Maddock’s wooden and non-motorised dinghy? Why ignore the differences in the dinghies and only focus on Mr Maddock’s slim figure and long hair? Biased and selective information processing! I had email communication with Mr Hauessler over a year ago after I contacted him via Facebook. I was interested in finding out where they tied their dinghy when going to the shore. He informed me that they never used their dinghy during their stay in Sandy Bay because their yacht was berthed in the marina. My understanding is that Mr Lorraine wasn’t looking at a berthed yacht. Mr Hauessler then informed me that he could have been spotted on his yacht when it was in a different location, namely when he was getting fuel. I can’t recall the details as to when that was and what the location was. Regardless of whether it was Mr Hauessler or another person who was spotted by Mr Lorraine, I agree with the opinion of Neill-Fraser’s supporters that Mr Lorraine was looking at a yacht that was much closer than Four Winds. That is, it wasn’t Bob he spotted. But I am not sure how Mr Lorraine’s statement would go for or against Sue. Interestingly, I then pursued the subject of winching a body from below the deck. He told me that he gave an opinion to Barbara Etter. His opinion was that it would have been difficult. He saw the possibility of a body part getting stuck in the 3-step staircase. I guess he didn’t consider the possibility that the body might have been wrapped up and tied, and that the body was pulled from below the deck such that the pulling rope was tied around the ankles. As for the late Mrs Z: I agree with Neill-Fraser’s supporters on this issue as well. She was mistaken. What logic explains why SNF lied so many times? Here is the email copy to me from Mr H about his opinion regarding the winching issue. Also note his last paragraph about the stability of an inflatable dingy. Note that he is a German and was in Hobart in Jan 2009 as part of his very long travel around the world. “I would say a (average) woman is not strong enough to carry a body manually on deck! The companionway is too steep. It is not easy for somebody alone to winch a corpse out of a cabin and up the stairs on deck. Ideal it would be if the rope has a straight direction to the winch and meets the winch in an horizontal angle. If the angle is not right there is the problem that the rope around the winch creates a wooling (don’t know the right term in English) and blocks itself on the winch. To pull a corpse up the companionway would be easiest when laying planks above the stairs (which needs careful preparations and material on board), otherwise the object gets stuck at each new step. If you have time you can do it by hoisting the corpse each time over the next step manually. But if you don’t have a self tailing winch (Four Winds had no self tailing winches as I know) the rope slips from the winch in the moment you don’t hold it tight at the outgoing side of the winch. So in this case it is a tiring job for a single hander. Better there is a second person. Then it is easygoing if (!) the arrangement with the winch is correct. Note that my opinion is that the body was lowered onto the dinghy via the stern gate and that the winch was used as a pulley in this instance (hence why the rope was found wrapped around the winch in the opposite to the normal way). This way the perpetrator can stand next to the stern gate and watch how the body is lowered onto the dinghy. But because of the geometrical orientation of the winch with respect to the stern gate, the perpetrator had to use their left hand and wrist to hold onto the free end of the rope in order to restrain the pulling force of the body as the body is being lowered. This poses a significant risk of injury to the perpetrator’s left wrist. Note that my aim wasn’t to explain how Sue injured her wrist - I simply wanted to understand how a physically weak person could use the winch to move a body from the saloon of a yacht all the way up to the deck and then across the deck to finally lower the body onto the dinghy. It is my prediction that the last phase poses a significant risk to perpetrator’s left wrist. Ps: the stern gate of Four Winds was found not to be locked by its latch; the winch is directly aligned with the yacht’s saloon and the yacht’s stern gate. I note that several people wondered how Sue could have done what the prosecution claimed, given that it was dark. At least one SN-F supporter noted that it was a moonless night. But, what everyone seems to have ignored is the possibility of it being a cloudy evening (it was an overcast day). Clouds will reflect city lights and provide sufficient light, even on a yacht that is moored at the location of Four Winds. There is also a possibility that a small torch may have been used (Sue mentioned that her fingerprints may be on a torch; a torch was found and it had blood on it .. Bob’s). A person who is well acquainted with Four Winds wouldn’t find it very difficult to winch a body across the deck and then lower the body onto the dinghy (via the stern gate) under the level of light that could be reflected from clouds. Quite some time ago I proposed that a lot of preparatory work for the winching was probably done in the afternoon and hence why Sue was on the yacht for a long time (way beyond 4 pm, and probably until about 8 pm). It is also possible that the body was winched onto the deck before 8 pm. I mentioned the issue of clouds previously (on another TT post) in connection with Mr Hughes’ ability to see shapes (such as the shape of a person’s upper torso, or the shape of the dinghy) but the amount of reflected light most probably wouldn’t have been sufficient to see the colours of objects or the clothing worn. I am not a ‘yachtie’ nor have I ever used a yacht winch, but I think that when Klaus wrote horizontal angle in his sentence “Ideal it would be if the rope has a straight direction to the winch and meets the winch in an horizontal angle.” , he most probably meant that the incoming rope had to be well aligned with the rotation of the winch drum so that it spools on properly, otherwise the rope would spool at an angle and eventually cause a jam. Various photographs of the Four Winds yacht show that the actual winch (the one on the mast in front of the entry to the salooon) is reasonably well aligned with both the companionway and the stern gate. Ps: prior to my online comments on the winching issue I studied several YouTube videos to get some basic understanding of how yacht winches are operated to raise and lower sails (but I had sufficient mechanical knowledge as to how winches in general can help a person lift or pull heavy loads). #19 #21 #24 #25 #27 #28 ... Is Peter Marco Falconio even dead? I believe Bradley Murdoch is innocent of his alleged murder. This reference book is a legal masterpiece and proves Murdoch is innocent and deserves our empathy, and not ‘dumbed down’ persecution. Extract: p 123, Concealing Crimes in Northern Territory, Australia. Bradley Murdoch appeared in a show trial and suffered a substantial miscarriage of justice. He was wrongly sentenced to 28 years without parole by the so-called Justice, Brian Martin (NT Chief Justice). Martin seems to have delighted in sentencing Murdoch to a horrifying future. At the end of the show trial, Martin even allowed a TV camera into the courtroom to capture his callous words. (Martin’s words about aggression and lack of remorse are, in my view, absolute subjective rot). Read the books ‘Bloodstain’, ‘Dead Centre’, ‘Where’s Peter?’ and ‘Rough Justice’ for the shocking details of the gross miscarriage of justice presided over by Martin. p 123-11 ... It seems that this Brian Martin was trying to redeem the pathetic behaviour of Northern Territory officials in the Chamberlain case by demonstrating to Australia and the world his no-nonsense authority. But all he showed us, in my opinion, was how corrupt and cruel he is. That he is no longer a judge in the Northern Territory is a blessing for all those who become enmeshed in the legal system there. p 140 ... Any judge who mis-instructs a jury is unfit for purpose, and he/she should be fired and never rehired. Unethical Judge Martin: “As he discharged the jurors the judge told them ‘For what it’s worth, I entirely agree with your verdicts. Know that you did your job and did it extremely well. Do not look back at this at later times and have any second thoughts’.” Anne Barker ABC, 14 Dec, 2005. “[Brian Martin] also says he agrees with the jury’s verdict - an amazing admission from a judge.” Robin Bowles ‘Dead Centre’ 2006, p 413. “In December 2005 I sat in the Supreme Court in Darwin and heard the chief justice [Martin] ‘congratulate a jury’ for finding Bradley Murdoch guilty in one of Australia’s most widely publicised criminal trials.” Robin Bowles ‘Rough Justice’ 2007 p 193. “As I described all this, I looked over at the jury and started to cry. A woman juror looked back at me with tears in her eyes.” Joanna Lees ‘No Turning Back’, 2006, p 220. “You must put aside any emotion that you see in other people, or that you might feel, and decide these questions purely objectively and not be influenced by those emotions.” Brian Martin in Bloodstain, 2005, p 237. “Brian Martin intervened, and asked (Joanna Lees) if she could tell the court how she was actually feeling at various stages.” Sue Williams, ‘And Then The Darkness’, 2006, p 279. The hypocrisy and bias revealed in these statements is staggering. Unethical Martin allowed emotional communications in the court; in fact, he encouraged Lees to influence the jury with tales and tears about her alleged feelings. Then, having damned Murdoch, Martin told the jury to put their emotions aside during their deliberations. p 123. In ‘Dead Centre’ 2005: p 373, Robin Bowles reveals “At the beginning of day 6 (defence counsel) Mr Algie, got up before the jury came in and addressed Chief Justice Martin. He said he had an ‘issue of concern’ regarding the way His Honour had been asking questions of witnesses during both evidence in chief and cross examination. He said the intervention of judges should be relatively rare when something was left unclear. Mr Algie said the jury might think that the influence of his high office placed greater weight on the questions asked, and he concluded ‘I invite Your Honour to refrain from the approach you have adopted’. Martin refused to accept Algie’s diplomatically-worded request relating to the judge influencing jurors. Martin was conducting a show trial .. so Algie’s client Bradley Murdoch could go to hell. Martin’s interventions during the trial had the potential to influence jurors, and that is why Algie asked him to refrain. Martin asking Lees to describe for the jury how she felt emotionally is one example of how he ‘manipulated the minds of jurors to get the guilty verdict he wanted’. Ask yourselves: Are these the words of a compassionate judge, or are they the words of a mongrel grinning and gloating over his victory? Keith Allan Noble. BIG WORM BOOKS. Is it correct, Martin now presides in TasMANIA? Stand Up For Human Rights. Andrew’s book also deals with the Gordon Wood case. I am still waiting for the library to contact me about the availability of the book for loan. Anyway, here is some science for those who don’t have a sound education in physics. Just imagine where a certain person would be now if the Appeal Court judges on the G. Wood appeal recognised that the experiment on which the defence expert witness based his report wasn’t quite relevant to the case as the experiments that were conducted by Assoc Prof Cross. Simple science: when a person jumps from a cliff such that the person takes off with feet first then the person will land feet first! Why is the above scientific fact a very significant issue that was missed by the Appeal Court judges? There was no injury to Carolyn’s feet or legs that would support the possibility that her feet or legs struck the rock. Her body must have fallen such that her feet were behind her torso. The significant injury was to the chest. What did the defence expert do? He had his two female subjects take a run-up and then land feet first. So what? You may ask Well, the second scientific fact is that when a person takes a run-up but then rotates their body so that the person takes a dive as they take off the cliff, then a fraction of the horizontal momentum is lost to the rotational momentum. This would reduce the horizontal speed of the take-off by about 0.5 m/sec. This means that the person would fall a distance over a metre shorter when diving compared to a simple jump. Under such circumstances the body would not have reached as far as it was claimed by the prosecution. The other (subtle) difference between the experiments conducted by the two experts relates to the athletic ability of the test subjects. Assoc Prof Cross (a professor of physics) used young female police officers of the relevant age who had average athletic ability. The defence expert witness (a professor who is an expert in biomechanics) used two female subjects who had above average athletic ability (the acceleration of one is close to that of a female 100 metre Olympic champion). There was no evidence at all in Carolyn’s life that she had such above average athletic ability to reach the comparable running speed (and hence the horizontal take-off speed). Had the Appeal Court Judges recognised the above issues it is quite likely that they would have sided with the opinion of Assoc Prof Cross. The real problem the prosecution had didn’t concern A/Prof Cross’ work. The cops didn’t record the location of the body before it was removed. This was a big issue because two possible locations emerged (suicide is a possibility for the location that was horizontally closer to the cliff). 1.Have you seen and do you have copies of all evidence seen by the jury in Neill- Fraser’s trial, including all statements, agreed facts, reports, video interviews of Neill-Fraser ( several hours’ worth over several occasions), photographs,video of the river bed search, maps, and forensic reports and other exhibits including the actual dinghy? 2.Did you see Neill- Fraser give evidence and be cross -examined? Do you know where she paused,gathered time before answering, looked about, and exhibited reactions and a manner the jury was able to take into account? Likewise how she appeared on police video interviews? 3.Did you see the diary note over-written by Neill - Fraser in a different pen? Do you know what the over- writing related to ? 4. DId you see any witness give evidence at the trial? 5.Have you had the benefit of discussion with eleven others who saw and heard all the above and who, like you , have sworn to deliver a true verdict on the evidence? 6. Do you consider yourself more clever than any one of the jurors? 7. Do you consider yourself more clever than the twelve jurors combined? 8.Have you ( or Bob Moles if his advice is relied on) ever conducted a trial or appeal? Are you better lawyers than four Supreme Court Judges and two High Court judges? 9. Do you understand that the circumstantial evidence rule requires the JURY to exclude all hypotheses which THEY consider reasonable in light of the evidence which THEY accept, not whether a Sydney film critic or an internet keyboard warrior are not so satisfied and so believe a verdict doubtful although they were not present at the trial and had no responsibility for giving a true verdict?Their answers should demonstrate whether the view of these “experts” should be preferred to the jury and to the trial and appeal Judges. #43 ... Steady on there Burt, are you a lawyer who has an association or holds a membership of the Legal Practitioner ‘select brotherhood’ here in Tasmania? For there is such a brotherhood system in Tasmania. A former DPP, as well as a certain number of Tasmania’s Exclusives, know only too well that they have relied upon this execrable brotherhood to enable a predicted court case decision to be handed down against a luckless undeserving individual. It is not unknown that before a case goes to trial the defendant has already been adjudged no matter his pleadings. As I have mentioned in other comments on this forum, the justice system in place during the 1830s is still being evidenced today. Perhaps I may receive some endorsement to this comment from the eminent John Hayward? 3. being part of a discussion where 11 other people on the jury would state their understanding and interpretation. The third point ought to be emphasised. We all get benefit from a group discussion, but it looks like Garry was substantially influenced by Sue’s other supporters well before he studied and digested the contents of the trial transcript. By then he had formed his opinion. But, I congratulate Garry for his significant effort and desire to improve his understanding. I too, have read the Trial Transcript and all of Barbara Etter’s blogs on this case, but I reached a significantly different opinion on the same evidence. I am not qualified to comment on whether the presiding Judge (or the Appeal Court or the High Court) erred in any way related to Vass or other matters. If we are to go on Mr McLaren’s contribution then the evidence is that not one witness could place Meaghan in Sandy Bay, nor on the Four Winds yacht. Mr Gleeson was sentenced. We can scratch out his contribution. I am aware that Eve Ash participated in a social media campaign against the former DPP. It appears that the focus now might be on her. Too soon to make further comments on this. I look forward to hearing what Mr McLaren will do. It would be very useful to hear a cross-examination of Mr McLaren by the DPP. But my comment here refers to the Sue Neill-Fraser (SNF) case. Convicted in 2010, eight years have passed during which a number of related legal processes have played out as if SNF was being treated justly. Yet clarity (read truth) and thus justice has still not been determined by the legal system in Tasmania. Should we be surprised? Thankfully I am of an age at which my bowels still function regularly - so obviously I am not a lawyer. And for quite some time I and others, have been aware that Australian departments of justice and their minions - magistrates and judges (who have the audacity to call themselves Justices) are corrupt to the core. * SNF is in the talons of such people. All the berobed bullshitters are paid with taxpayer money by the State. All their power, prestige, perks, and private WCs are conveyed to them by the State. This fact in the SNF case, and every other case, has a damning impact on their deliberations and decisions. This impact is called BIAS, repeat BIAS. Guilty beyond reasonable doubt is a much stated phrase. But when such doubt is there - as it is by the boatload in the SNF case - the so-called justice system in Tasmania cannot acknowledge it. Confucius told us this: Wisdom, compassion, and courage are the three universally recognised moral qualities of people. Tragically, they are all lacking in those state officials involved with the SNF case. The quality of reasoning about the evidence, the trials, and the appeals in the cases that Andrew’s book deals with is rapidly deteriorating and is giving way to conspiracy theories and PTSD episodes. Editor: just how relevant are #41 and #46 to the topic of the content of Andrew’s book? 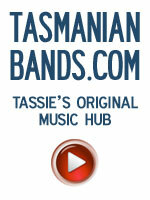 Why does Kevin undermine the name Tasmania by constantly referring to it as ‘TasMANIA’? Is that the way TT wants this thread to proceed? Absolute nonsense! #. Peter Lozo, how is it that you believe you have the right to dictate your whims and fancies simply by calling for comments to be deleted based upon your own opined interests? No matter what is provided as a comment response in which its attempt is not to have you lord yourself over this forum, more especially when you have no possible entitlement to do so. For those persons that have not had the opportunity to examine the full Monty of the Port Arthur Massacre, then, in my opinion, the people in Tasmania cannot lay claim to a fair Justice system being extant in this State. For it lacks every fibre of a just and fair system of law and that it cannot support the false and fake claims and statements that are so loaded with a bias that there can be no evidence found of scrupulosity, sincerity, good faith and trustworthiness anywhere within Tasmania’s legal and justice system. I recently read one case transcript specific to a Tasmanian court case, that even standing on my head and reading same, still had no sense about it with all the gobbledegook contradicting citations quoted, then to read of the reasons for the handed down decision all went to indicate that the offender, a person of some public standing, should not have been subjected to the embarrassment of having to appear in public. There are a great number of (the brotherhood) Tasmania’s legal practitioners that could quite easily confirm my statement, yet that is something these self-privileged conker playing species will never ever do. A person with an engraved shingle that states the person indoors is a member of the legal profession, does not guarantee that its holder indoors is in anyway an honest legal practitioner. My experiences down Launceston way do not support that this city is abundant with honest caring legal practitioners, some of them should already be in Risdon, this same applies to that proportion of species down Hobart city. A request for a quotation of one’s likely costs to be incurred in dealing with a legally specified action can vary in the most extreme. Of 2 separate quotations sought, one particular quotation I am aware of was for the same case matter, $60,000 estimated costs, the other was $30,000 estimated costs, which costs figure was likely the closest to correct? Answer: neither of them, as the legal fraternity being ever anxious to learn the content of one’s purse or Bank account will likely delay before issuing a quotation of estimated costs expected. Beware of the practitioners who do not provide a costs estimation. We can thank our frontal cortex for the human ability to critically analyse. Unfortunately, some people haven’t been trained how to use their frontal cortex effectively, and we are left with a society where we have a significant portion who contribute nonsense and promote conspiracy theories with ease. 1. Just how many people know that the cops knew on 27th Jan that there was a light coloured motorised dinghy with a middle-aged person leaving the area of Four Winds around 7:45 pm - 8:30 pm on 26th? The cops didn’t ask Sue whether it could have been her, but the evidence is that they believed it to be her. The former DPP gave the eyewitness statement to Sue’s defence attorney, but neither used it at the trial. What if the jury knew about this evidence? Would they not be even more convinced that Sue was guilty? If Sue gets a re-trial it is quite likely that this evidence will be used. 2. How many people know that a white dinghy can look grey on water? Dr Bob Moles did not know that a few years ago. I struggle to believe you are foolish enough to write a book after viewing a ‘documentary’ on the subject without researching it yourself. What an insult to the intelligence of anyone you expect to buy this nonsense. I can only assume, and please correct me if I am wrong, that the documentary you viewed was Shadow of Doubt? Made by Eve Ash, a woman who was recently implicated in the creation of a statement supposedly made by Megan Vass? Let’s call this what it is, a last ditch desperate effort by those who can’t see the forest for the trees. #48 ... William: you ask me “How is it that you believe you have the right to dictate your whims and fancies simply by calling for comments to be deleted based upon your own opined interests?”. Since Mr William Boeder’s post #23 (directed to me and my post #22) doesn’t address anything I had written in post #22 nor does it address anything I have commented on in any of my other posts on this blog (nor does it address the specifics related to Andrew Urban’s book) I suggest that you delete his post on the grounds that it is off topic. #41 by Kevin is totally irrelevant to this thread. #46 ... by Keith is just a nonsensical attack on the judiciary and doesn’t discuss any detail about any of the cases mentioned in the summary of Andrew’s book. I cannot assess whether he has a correct interpretation or not, because he has not provided anything I can assess for completeness, accuracy, rationale, etc. Such remarks as in his 3rd and 4th paragraph do not not by any rational test represent a rational and reasoned opinion, but is a typical rant of an anti-establishment conspiracy theorist. “Hi Jack, As I said in my last message: “Personally I have no issues with a reward being posted, providing its written in a manner that is respectful to the family concerned, no problem with a book being plugged either.” Jack you may or may not be aware, but the reward poster is only a part of the issue. Before the reward was issued Mr Noble sent a stream of appalling letters (5 in total) to the Falconio family, demanding they provide information, and issuing ultimatums. They chose not to reply and this has angered Mr Noble. Now he refers to the Falconios as secretive. So there is a lot more to this than meets the eye. It not just about a reward poster. For me personally, I would like to see Peter found dead or alive, and I would also like to see the Falconios treated with respect and empathy. I suggest that, if Keith Noble wishes to discuss the matter, he offers TT an article on the subject so that he (and his supporters) do not pollute this thread with their conspiracy theories. ‘Burt’ at #43 writes that “it would be a pleasant surprise” if “self - appointed experts ” such as myself, would respond with a written, “reasoned and frank response” rather than some “frantic speculation” as to his identity/source of knowledge. I’ll answer Burt’s questions, while wishing that he could have used a less-combative tone in framing them. Q1. Have you seen and do you have copies of all evidence seen by the jury in Neill-Fraser’s trial, including all statements, agreed facts, reports, video interviews of Neill-Fraser ( several hours’ worth over several occasions), photographs,video of the river bed search, maps, and forensic reports and other exhibits including the actual dinghy? A: No, Burt, I have not seen and don’t have copies of all evidence seen by the jury ... Pardon my asking, but have you seen/have copies of all such evidence? If so, would you share it all with me please? Q2. Did you see Neill-Fraser give evidence and be cross -examined? Do you know where she paused,gathered time before answering, looked about, and exhibited reactions and a manner the jury was able to take into account? Likewise how she appeared on police video interviews? A: No, Burt, I was not present at the trial, so my ‘impression’s are from the transcript and also from the accounts of those on the public benches who were present, those who did see more than is conveyed via the Trial Transcript. Did you see/know all these things, Burt? I have spoken with people who were present at the trial; they have not mentioned seeing Susan Neill-Fraser respond in the manner suggested by you. Q3. Did you see the diary note over-written by Neill-Fraser in a different pen? Do you know what the over- writing related to ? A: No Burt. I’ve never seen Susan Neill-Fraser’s diaries. Perhaps I’ve seen excerpts quoted or referred to in the trial transcript, but: No I’ve not seen them. Have you, Burt? Your use of the term “over-written” is interesting. I have seen references to this issue, but my understanding is clouded by various matters, such as the police taking possession of SN-F’s diary and then perhaps a second ‘seizure’ when she began rewriting, in a new diary, following on from what had been earlier given to the police. Q4. DId you see any witness give evidence at the trial? A: No Burt, I wasn’t present at the trial. My interest in the case began here on Tasmanian Times, then in response to Ben Lohbergers’s challenge to Andrew Urban (and indeed, to Barbara Etter etc) I asked for the trial transcript to be published and – to give Barbara her due – Tasmanian Times received and published the entire transcript. Specifically, on reading the transcript, I was appalled on reading how Justice Blow refused to allow Meaghan Vass to be recalled to the witness stand after it was learnt from Detective Sinnitt’s evidence that for her whereabouts on the night of 26 Jan 2009, she had given what in the old days we used to call ‘a bodgey address’. Q5. Have you had the benefit of discussion with eleven others who saw and heard all the above and who, like you, have sworn to deliver a true verdict on the evidence? A: No Burt, I wasn’t one of the jurors and I haven’t had discussions with any of them. I have not (been) ‘sworn’ to deliver a true verdict on the evidence. What I am trying to do is to collect as much of the evidence as is on the publicly available record and put it into chronological order. In my #32, I canvassed the question of Susan Neill-Fraser’s innocence or guilt. From what I have learnt about ‘the case’, and in the light of other considerations, including the ‘new evidence’, I don’t think a second jury would find Susan Neill-Fraser ‘guilty beyond reasonable doubt’. Certainly I myself have not seen any evidence which would allow me to find Susan Neill-Fraser ‘guilty beyond reasonable doubt’. Q6. Do you consider yourself more clever than any one of the jurors? A: How long is a piece of string? Personally, I don’t think of myself as clever. I usually think of myself in a group as being ‘slower’ in the ‘upstairs department’ than others. I know about myself that I learn slowly. Maybe the following aphorism will help answer your question: ‘clever is as clever does’. I’m trying to understand what actually happened on that night of 26 Jan 2009. I don’t think this present appeal application can deliver such an understanding. Whether it succeeds or fails, we still need to know what happened and I doubt that we ever will. Q7. Do you consider yourself more clever than the twelve jurors combined? I’ve been working on doing that chronological stuff for some time now. Occasionally something new pops up, such as Peter Lozo’s disclosure about Klaus Haeussler’s Ludus Amoris having been moored/berthed, not directly off the Derwent Lane jetty, but (according to Peter Lozo at #35) being “berthed in the marina” itself. If this is/was indeed the case, then I’ve been in error in asserting Klaus Haeussler as being the ‘old seafarer’ (ie and thus not Bob Chappell) who was observed by Peter Lorraine. i) if knowing that Klaus Haeussler wasn’t in the vicinity, and if knowing that Peter Lorraine wasn’t viewing the Four Winds (which was some hundreds of metres distant and off at an angle) then – if not Klaus Haeussler and if not Bob Chappell – then who actually was it that Mr Lorraine saw? ii) why did the trial prosecution counsel allow the jury to believe that Bob Chappell was actually on the back of a boat, some 80-100 metres directly off that Derwent Lane jetty at 5:00 pm on the afternoon of 26 Jan 2009? iii) Could it have been Paul Wroe? (the Pam Genders mooring which he told the court he had paid $25 a week to use is perhaps closer to that jetty than the Four Winds mooring was). It seems to me that the importance of Peter Lorraine’s having observed an ‘old seafarer’ on that afternoon, is that without actually stating it, the prosecution made sure that the jury got the impression that Bob Chappell had been seen alive more than an hour after Paul Conde, at 3:55 pm had seen the ‘dark grey’ dinghy alongside the Four Winds. If Bob Chappell hadn’t been seen by Lorraine at 5:00 pm, then the significance of the ‘dark grey’ dinghy is perhaps reinforced. I don’t know ... the permutations – the finer/more extended they become – lose binding strength. Whether ‘clever’ is the word or not, I was willing - in the case of Lindy Chamberlain - to put my opinion up against that of those twelve ‘good men and true’. I knew that the evidence of the Lowe family meant that Azaria was alive after her mum had got her asleep and having put her to bed and having returned to Michael and the Lowes, was with them at the camp fire ... when they all (Lowes included) heard the baby cry out. Yet the jury found her guilty and that was an appalling miscarriage of justice. On this account, I believe that the members of that jury must accept responsibility for their part in that guilty verdict. I would not wish to assess their verdict on your criterion of cleverness, Burt. Q8. Have you ( or Bob Moles if his advice is relied on) ever conducted a trial or appeal? Are you better lawyers than four Supreme Court Judges and two High Court judges? A: [I don’t know to whom you are addressing this question, but surely you are not putting it to me?] The example of the Chamberlain case is in my opinion, instructive. With the exception of Lionel Murphy, the judges in that saga, through to and including the unsuccessful HC appeal, were successively responsible for that then-ongoing miscarriage of justice. Q9. Do you understand that the circumstantial evidence rule requires the JURY to exclude all hypotheses which THEY consider reasonable in light of the evidence which THEY accept, not whether a Sydney film critic or an internet keyboard warrior are not so satisfied and so believe a verdict doubtful although they were not present at the trial and had no responsibility for giving a true verdict? Their answers should demonstrate whether the view of these “experts” should be preferred to the jury and to the trial and appeal Judges. A: What a mish-mash of scrambled propositions are contained in the first sentence of this Q9. I certainly do not accept that jury members are required (as Burt declares) ”to exclude all hypotheses which THEY consider reasonable in light of the evidence which THEY accept ... As for the pejoratives which Burt uses to follow this last question of his, I ask myself ‘Why did he do it?’ Did he want to receive a reasoned and frank response, or was he just ‘getting his rocks off’? Burt, our words are easily misunderstood when we communicate online. I felt that you were being snappy and provocative, that you ‘called me out’ and that your comment was a denunciation rather than an enquiry. I would be happy for you to correct me on this, if I’ve misunderstood you. All that was established is that the forensic evidence does not support the murder scenario that was advanced at the 1995 trials of Henry Keogh. Dr Manock (the autopsy forensic pathologist) advanced a modus operandi of forced drowning that was not supported by forensic evidence, nor was it a physically feasible modus operandi when one considers the geometrical layout of the bathroom. As a matter of fact, it was the latter issue (which I first saw discussed on a current affair program ‘60 Minutes’ in 2011) that inspired me to conduct a substantial analytical and experimental study during 2012 - 2014. Based on that study I formed a scientific opinion that when one takes into account the geometry and the detailed features of the bathtub, then another modus operandi exists which is far more consistent with the pathology evidence (bruises) than Dr Manock’s proposed modus operandi. The question arises .. why did Dr Manock err? The answer lies in Dr Manock’s own reply to Karl Stefanovic in 2011. It has to do with the ‘brides in the bath’ cases. Dr Manock was influenced by his knowledge of UK cases of the early 1900s of how three other ladies were forcibly drowned whilst having a bath. Neither Dr Manock nor SaPol’s forensic section bothered to test his modus operandi in preparation for the 1995 trials. The 2001 experiment tried to test whether and how a person could be forcibly drowned whilst lying in the bathtub on her back. After seeing the results, Dr Moles rather quickly concluded that Ms Cheney wasn’t murdered. But the best he and his friends could have concluded on the basis of their limited experiment was that Ms Cheney wasn’t murdered in the manner that was proposed by Dr Manock. That is what happens when you don’t have a physical scientist involved in a physical experiment. A very well thought out and written reply by Garry to Burt. A very impressive and calm approach! 1. Would it not be more correct and appropriate to suggest that it was the cops (rather than the prosecution) who ought to have done a better job in ascertaining that Mr Lorraine’s evidence was correct? The prosecutor worked on the basis of the brief that was submitted by the police officer in charge of the investigation. Cops were a bit slack, IMHO. 2. Let us suppose that the jury accepted that it was Bob who was seen alive by Mr Lorraine ar 5 pm or so. How did that harm Sue’s case? Let us consider this a bit further. Mr Conde went by at 4 pm and sees a ‘grey’ dinghy at port-side of Four Winds. That means whoever boarded Four Winds via that dinghy was not a stranger to Bob, given that we have assumed that it was Bob who was seen alive one hour or so later by Mr Lorraine. Suppose that we drop the word reasonable from the above. That would mean that the jury would have to exclude every possible hypothesis that the evidence might suggest, regardless of how remote that possibility might be. This is why the word reasonable plays a huge role in criminal law. I would like to see Garry expand on his view. Why does he disagree with Burt? I don’t know if Burt is a lawyer as he claims, but he certainly (from other comments between him and Invicta) comes across as a law qualified person. But of course what might be reasonable to one person might not be reasonable to another person. One then needs to assess how well a person has understood the evidence, and then assess whether the person correctly interpreted the evidence. The good example in this case concerns the ‘grey’ dinghy. Those who have taken note of various descriptions of the dinghy that belonged to Four Winds would have recognised that it too, was seen by some as light grey or grey when viewed from close range. If one then considers other factors (the viewing geometry that faced Mr Conde) then it is reasonable to believe that it could have been Sue’s dinghy that was seen by Mr Conde. One will need a reasonable explanation as to why one would disagree with this. The fact that Mr Conde gave a detailed description, and was confident, should not be taken for granted that what he thinks he saw was exactly what was there. If one averages the witness statements of a dinghy that was spotted at port-side of Four Winds, the only clear thing is that they all saw a grey dinghy. #43 ... Burt, your explanation of the law can be confusing to a lay person. Perhaps you can put it in a way that a lay person can understand. What would be useful is to relate how the law applies to the jury’s determination of guilt or innocence. jury; and (b) the jury must be satisfied beyond reasonable doubt that the conclusion of guilt is the only rational conclusion which is open on the whole of the evidence that the jury accepts. Or to turn that round; if there is open on the whole of the evidence that the jury accepts any rational hypothesis, big words, any sensible theory, consistent with innocence, then the accused must be found not guilty. 2. did not contain any of the following phrases “only rational conclusion”, “rational hypothesis” or “sensible theory”. 3. preferred his own “hypotheses which they consider reasonable” which seems to me not to capture - but rather, that it conflates and in doing so, alters - Justice Blow’s “reasonable doubt” and “rational hypothesis”. Legal people (like politicians) tend to provide explanations that I find hard to interpret. I ask Burt to clarify his statement, for I am now not quite sure what it means in practical terms. I would like an example of how the law can be applied in this case. Why “exclude all hypotheses which THEY consider reasonable”? Does it not make more sense to “exclude all hypotheses which THEY consider unreasonable? Those who know the trial transcript details about the way the insurance policies were taken out ought to be outraged at the above statement by Keogh. If what he is saying is true, then why would he have to forge Ms Cheney’s signature on bank cheques to set up the 5 insurance policies? He is basically saying that Ms Cheney (who was a lawyer) participated in an agreement for him to forge her signatures on insurance papers, on bank cheques and on the bank authorisations for regular monthly deduction from the joint cheque account. He could have signed his own name on the bank cheques, and on the automatic debit forms, because it was a joint cheque account, but he (who was a bank manager at that time) forged Ms Cheney’s signatures when it really wasn’t necessary .. unless he had a plot that she wasn’t aware of. In my view he is digging himself deeper into a possible civil law action against him by the Cheney family. The book launch on Thursday, Sept 6 at Fullers was a great success, with about 70 people attending. Former Premier Lara Giddings officially launched the book and in her remarks she called for the establishment of a Criminal Cases Review Commission. She also said she felt the new ‘further right to appeal’ legislation under which Sue Neill-Fraser is seeking leave to appeal, sets the bar too high, by restricting the grounds to fresh and compelling evidence. Sarah Bowles spoke movingly about the trauma the case has caused the entire family, not least their infant children. I signed about 40 books for customers, plus another 10 or so that are available for purchase at Fullers. WIN had a 2 minute news package on the launch that evening. Thank you Hobart. - and that, it has lately emerged (via video evidence) that the private investigator (Mr McLaren), who was brought into the case by Eve Ash, likely invented a false Stat Dec for Vass to sign (possibly after speaking to her and learning more about her drug-affected personality and her criminal associates than about her whereabouts for the relevant evening). In other words, John Hayard incorrectly assumed and without any supporting evidence to support his claim in August last year that the “government suppressed the DNA evidence and Stat Dec admission of a delinquent minor known as a criminal associate that she was present on the yacht on the night with three friends into robbery, “. Some people will join in on the SN-F case discussion/debate but offer no contribution to the useful information or understanding of the evidence for the case at hand. Garry Stannus #53-59 is right , my “Q9” at #43 is a mish-mash, not helped in that the last sentence should have been a separate paragraph not a run-on of the question. Also , I attempted what I was saying about circumstantial evidence ” freehand”- I should have gone back to the cases first. Here are some further attempts - all saying much the same thing. • The prosecution’s hypothesis (of guilt) is established beyond reasonable doubt when the only alternative hypotheses cannot be rationally maintained. • In a criminal trial the prosecution must exclude any.hypothesis consistent with innocence. The point I was seeking to make, obviously not well enough, is that there was a great deal of evidence given to the actual jury and it possessed a great many advantages the armchair experts do not have. Yet both the film critic Urban and Mr Stannus believe it is of great significance that they don’t agree with the jury. Urban on another thread posted with obvious pride a piece (it is probably in his book too but I certainly won’t be wasting my money finding out) in which he posed certain hypotheses consistent with innocence which he thinks have not been excluded and concludes that the jury’s verdict was therefore wrong. It is supremely irrelevant that Urban, who has declined to tell us how much of the trial evidence he has actually seen, even second-hand, thinks there are hypotheses which have not been excluded as reasonably possible to his mind. I note Urban has given up responding to this thread, his early contributions being shallow and shifty. “Killers do not usually plant false trails unless they find it necessary to do so to distract attention from their association with or opportunity to kill their victims”. Of course , that is only from a High Court Judge,and what would they know, compared to a film critic? The only issue that I see with John Hayward’s constant complaint about the “beyond reasonable doubt” in the SN-F case is that he has not yet listed a single reasonable doubt that he might have in this case so that those of us who are skilled and interested in critical analysis can assess his opinion against the evidence that was presented to the jury! Just imagine being on the jury where during the deliberation one person says that the prosecution hasn’t proven its case beyond reasonable doubt but then that person doesn’t say to the rest of the jury members what he or she has a reasonable doubt about? Mr Hayward’s doubts about the police and the judiciary seem to be related to his personal experiences rather than an objective analysis of the evidence that was presented to the SN-F trial jury. Maybe I’m ‘thick’, but I’m having difficulty understanding the expressed concern - even outrage, relating to Eve Ash typing a dictated statement for Ms Megan Vass’s signature. My understanding is that investigating police regularly do this in preparation for a court process. Having interviewed said witness, that is how it happens. I assumed, perhaps wrongly, that ex-detective McLaren had either directly or indirectly interviewed the witness, and was in the process of preparing a Statutory Declaration prior to obtaining the witness’ signature. Where’s the “conspiracy” in that? FACT - Police officers regularly prepare statements for witness signature. Following numerous drafts, which at times seem to be revised according to which day of the week it is, a final one is prepared close to court date, for signature. So, is this practice a conspiracy, too? Mr McLaren surely was well aware of the relative laws as he/Eve Ash were preparing for “a copy of a statement” to be provided to witness Vass, for signature. Am I oversimplifying? “... Acknowledgement of statement ..
A witness making a statement must read the statement, or have the statement read to them, before signing and acknowledging the statement. The statement must be in the form of an affidavit or must contain an acknowledgment that a person making a false statement is liable to the penalties of perjury. See sections 47 and 112 of the Criminal Procedure Act 2009. A copy of a statement must be provided to the author of the statement and the accused or his or her legal representative”. 3. (c) in a form, and attested to in a manner, prescribed by the rules of court. shall be guilty of a crime. For accuracy in this record, I am not an unsuccessful litigant. I believe you are referring to another civil matter to which I have close affinity. What you cunningly/deviously omitted to include is the reason for the failure - the defendants who were generously and deceitfully funded and assisted by the the Crown (the public purse) and that includes the then Solicitor-General together with Snr Crown Law officer(s) to perverting the course of justice. Yes, I hold the direct evidence, and yes, criminal offences .. or so it seems in the SN-F matters in discussion. Hmmn, shoe on other foot stuff, eh? Since I respect the importance of keeping to relevance in this discussion thread, I won’t continue other than to correct your misleading comment, though I challenge you to take me on separately .. I’m right in there. I hold no appreciation or respect for contributors who throw a bit of unjustified mud, then run for cover. #67 ... “In the footage, excerpts of which were shown to the court, true crime writer and former Victoria Police detective Colin McLaren dictates a statement to film-maker Eve Ash, to be signed by Ms Vass. Does not the above emphasised statement indicate to a reasonable person that Mr McLaren is likely manufacturing a false Statutory Declaration for Vass to sign, particularly when he says “This is a strategy”? Is it not customary to either read from notes, or listen to a taped conversation with the witness, or have the witness present whilst he Stat Dec is typed? Who in their right mind would be willing to type a Stat Dec for another person, in the absence of that person, but be dictated the statement for that person by another person who isn’t reading from notes, nor is he listening to an audio/video of the witness? It appears that because he didn’t have any success in finding a witness who could place Vass on the Four Winds or in Sandy Bay, he chose another strategy that took advantage of people who were financially desperate and thus willing to sign false statements in exchange for the promise of money. If he (McLaren) felt that he did nothing illegal with respect to the various Stat Decs/affidavits, then he had no valid reason to run overseas when TasPol started charging various people in Hobart. Also, given that Gleeson lied about seeing Vass, does this not suggest that it was also made up? But who was the mastermind? The lawyer or the ex-cop? I think that a clearer picture of what really went on during his involvement will emerge if he (McLaren) fronts up to the Court to be cross-examined. It was recently reported that McLaren received legal advice not to testify! But did Vass actually make the statement that she eventually signed (under threat) or was it manufactured for her by McLaren? It looks more likely that it was manufactured by McLaren, and that she was then coerced into signing it. #65 and #64 ... Before you clink your glasses together by your having joined hands in denouncing the comments of many others, here is a link that is arguably attributable to the often vapid opinions proffered by Dr Peter Lozo. Something that both yourselves cannot dispute with any certainty is contained in the link below that is specific to the conduct of those law practitioners I refer to as the ‘brotherhood’ in this state. This ‘brotherhood’ reference is not to be misunderstood by the lesser proportion of ethical law practitioners in this state. There is the implication that the notions held by yourselves are that you each know it all ... excepting the fidelity of the Tasmanian Justice system. I have enclosed 2 links that provide in the event of need, also the most appropriate method, for dealing with unethical law legal and justice professionals that may be found liable for their misconduct or be it unethical engagement, this is also applicable to other recognised professionals. I provide here on notice that X number of Tasmania’s GBEs may likely be confronted with serious evidence supported allegations claimed against their same. I don’t know about the other ‘amateur sleuths’ on here, but this amateur sleuth has had about 7 years of sleuthing on 5 cases (Keogh, Neill-Fraser, Avery and Dassey, Wood, and Szach) and has interacted online with supporters and non-supporters of Keogh, Neill-Fraser, Avery & Dassey. I was primarily focused on anything that had technical and scientific flavour, but I stayed away from engaging in legal matters other than on TT in relation to the law as it applies to circumstantial cases; and am still trying to make sense of the law! I expect my interest to end soon with this case. I must say that Garry Stannus has impressed me with his hard work and determination to understand. As an experienced scientist/engineer who has had a lot of experience in critical analysis of numerous technical/engineering/scientific works during my career as a defence scientist, I must say that I was appalled by the low quality of science in the Keogh case on both sides of the case that in total involved around 10 forensic pathologists. Of all the people I interacted with online with respect to the above mentioned cases, I came across only one person who changed his opinion after first seeing a highly influential documentary followed by then reading the trial transcript. There was something crucial in the trial transcript (the killer’s blood in the victim’s car) that the documentary makers left out. When he read the trial transcript he was shocked at how he was mislead by the 10 hour docu-series ‘Making a Murderer’ about the Avery and Dassey cases in the US. I took the reverse approach in each case by reading the official court transcripts before watching documentaries. I mention this because most of SN-F supports appear to me to be influenced by those they hold in high regard or have been influenced by the ‘Shadow of Doubt’ documentary. I can see the grey dinghy issue in that documentary to be very misleading because it doesn’t present the witness statements that indicate that the Four Winds dinghy was also described by some as being grey. What was misleading about the Vass DNA evidence on the ‘60 Minutes’ program? What was misleading on last year’s ‘Sunday Night’ program about the case in relation to Vass? Given that Andrew Urban wrote a book on real crime cases, and that Graham Archer wrote a book on the Keogh case, coupled with my extensive study of both cases as well as a few other cases, I considered getting people to think about the psychological impact documentaries and books might have on their perception of a particular case. Imagine devoting part of your emotional self advocating online for the innocence or guilt of a person for a year or so (and getting emotional support from like minded people) and then being shocked to your core when you discover that there was some evidence that you did not know existed and which would have caused you to have a totally different opinion. In the case which I mentioned in my previous post, the convicted person’s blood was found in several places inside the victim’s car, namely in the cabin and in the boot. The victim’s blood was found only in the boot of her car. The documentary makers did not include the evidence about the convicted person’s blood in the boot of the car, but did include the evidence about his blood in the cabin. But only one ‘armchair sleuth’ I came across (the person I mentioned in my previous post) considered that evidence significant enough for him to change his mind, after reading the trial transcript, because he reasoned that if you have the convicted person’s blood in the boot and you also have the victim’s blood in the boot then that (together with some other evidence) is proof that the convicted person did kill the victim, temporarily putting her body in the boot of the her car, and then taking it out for burning in a burn pit. As hard as he tried, he still hasn’t been to get Avery’s supporters to see it the way he saw it. I agreed with him, but my opinion was based on an analysis of other evidence I considered critical to the understanding of who killed the young female photographer. I found out from him how upset he was about being duped by the documentary. Take home lesson: be sceptical of documentaries and books about miscarriages of justice and do study the trial transcript, preferably before watching the documentary. Why is it so difficult for people to reverse their first opinion on a real crime case after that opinion was made on the basis of information obtained from a documentary or a book? Once a particular view is sufficiently well established in the brain (in the neural pathways) then the brain circuitry will enhance the significance of any further information (via what is known as the top-down modulatory feedback pathways which act to amplify and bias the competition between activated neurons) that might be sufficiently consistent with the established and activated top-down neural pathways, whilst at the same time suppressing any inconsistencies out of the person’s conscious awareness. In other words, once you have arrived at a sufficiently strong opinion that something is true then you are more likely to (more or less automatically) seek out the information that confirms your opinion (thus making it even more stronger) than you are to seek out information that is inconsistent with your strong opinion. Even scientists (who are probably the most trained professionals in objective observation of data) can fall into the trap of not noticing data that is inconsistent with their theory. Scientists are trained and motivated to seek out data that is inconsistent with a particular scientific paradigm. So, if you identify yourself with a group of people who hold the same view as you, and also share your opinions online, then your emotional brain will contribute to making you even more susceptible to ignoring data or evidence that is now inconsistent with the group’s opinion. Now, throw in this mix a prominent academic legal figure or a very outstanding defence attorney (eg Kathleen Zellner of Chicago) who is also sharing the same opinion as the group to which you belong. Just how likely are you to then take serious notice of a scientist (who has expertise in visual perception) when he/she tells you that it could have been Sue’s white dinghy at the port-side of Four Winds but was perceived to be grey because of the viewing geometry in which there was no direct sunlight on that dinghy but rather glare which affected people’s visual ability to correctly see the true colour of that dinghy? How likely are to you take serious notice when a physical scientist tells you that, based on the significant power ratio of the winch on Four Winds, Sue could have easily used that winch to do what the prosecution claimed she did? How likely are you to seriously take the opinion (and its significance with respect to tipping a body overboard from a dinghy) when a very experienced yacht owner tells you that inflatable dinghies are very stable and hardly flip over, compared to say, aluminium dinghies? How likely are you to question the defence case and the opinion of the defence expert witnesses? Etc. Ps: Steven Avery’s supporters got duped by a very biased and a dramatic 10 hour docuseries into believing that Steven Avery is innocent of murder. Nothing will change their opinion that Avery was framed, particularly since a very prominent (and a very successful) defence attorney from Chicago (Kathleen Zellner) took on Avery’s case over two years ago. But there is at least one person who realised he was duped by the documentary. Zellner’s motion for a re-trial was denied again - the most recent decision was a couple of days ago. The person who posted #71 hasn’t explained to us how the contents of his comment addresses the contents of #64 and #65. In particular, where in #71 is a reasoned opinion on whether (my) #64 is sensible in light of the evidence that emerged since August last year in the conspiracy to pervert the course of justice in the Neill-Fraser’s right-to-appeal application? Where in any of his writings did the commenter who posted #71 refer to the subject of critical analysis and independent rational thought? Where in any of his writings did he actually demonstrate that he is capable of critical analysis and independent rational thought? Does he actually grasp the meaning of critical analysis and independent rational thought? #76 ... Dr Peter Lozo, you are not aware or refuse to contemplate that the Tasmanian Justice system is known for its bias that can be held or found in its handed down decisions arising from a number of State Supreme Court cases. Given this precedent fact, your continuing reliance upon the SNF case pieces of evidence and then of this Supreme Court case final outcome has been the basis for a great many of your SNF case conclusions. I have already alluded to portending allegations of unethical conduct et al that will be realised in the very soon futuresthat are related to the X State government business enterprise(s) that gain by improperly concluded Supreme Court conducted case outcomes. It is interesting to note that you fail to seek beyond published Supreme Court case transcripts, also that you repeatedly negate the commentary of others thereby your denial to other existing possibly fact elements crucial to how the said Court decisions have been decided and handed down. I had listened carefully to a retiring Tasmanian Barrister of high repute when he offered his advice to me that there is no such thing as a predictably perfect court case outcome. You have stated in a number of your comments that your knowledge of the law is somewhat basic, or even to a larger extent as being even the lesser. I have based a number of my arguably stated opinions in response to a number of your points that can be viewed as their being disputable or be they contentious, in their assertions, a freedom that is allowed to each and every commenter that you have often disdained. Relevant to many court case trials is that crucial evidence can or may be withheld, doctored, disallowed, or even over-ruled, let alone to be tested or permitted to be held as contributory evidence during a trial. Then that I happen to have read incidents of this kind as having occurred in closed hearings, or hearings not privy to the general populace, as well as very seriously considered and presented case trials. I happen to be a person that constantly studies court case transcripts from the High Court down to lesser jurisdiction courts then to study the reasons as are given for the case decision to be handed down, despite arbitrary citations being presented to enhance the reasons for a courts decision. Also that I become somewhat magnetically drawn to imperfect court case decisions (eg the jail sentence recently handed down to the detriment of a person known to expose corruption in all its forms and occasions, including the intentionally misleading or untruthful claims relating to products marketed for sale ... Capilano pure honey ... that over a given extended period of time one becomes aware of how such as the above-mentioned imperfections that happen to impair an assumed properly conducted court trial. A link incorporated in my #71 concedes that there are acts of impropriety and misconduct that can arise in the legal or law profession. I trust this commentary answers the implied references alluded to in my #71 in this reply to your questions in your #76. Dr Peter Lozo, here below is an example of the type of case I had referred to in my reply to your #76. There are other news portals that I attend that publish worthy news stories that are purposely avoided by Australia’s mainstream media. Often it can be that the justice delivered ... is influenced via an antagonist element introduced ... though it can be separate from the real cause for trial. In this case matter, has the guilty party been left unscathed with no jail term being imposed upon that fact established dishonest other? #77 .. Are you trying to bully me into accepting your view of the world? Were you a school bully or something such? Virtually everything you do on TT is a personal attack on a person or an institution or an authority or a government department or judiciary or politicians or former PMs, etc! I don’t mind engaging in well reasoned debates but hey, where do you get the idea that bullying is the way to go when your opponent doesn’t see it the way you do? Where do you get the idea that a scientist is actually interested in the same (social) issues as you are? I am only interested in the technical and scientific parts of several TT articles, and I am also interested in providing people a summary of what I (as a scientist) have learned from my research into several real (complex) crime cases with a hope that it might help some of the readers to get a better perspective on questions they need to consider when trying to understand the SN-F and the Keogh cases. 1. You still did not answer my question. 2. Each case ought to be considered on its own merits. If you approach the SN-F case with other distracting factors then you aren’t approaching it with an objective mind. 3. If there is evidence that the cops or the then DPP or the trial Judge acted illegally in order to secure Sue’s conviction, then provide the evidence or shut up. 4. If there is evidence that the cops or the Court acted illegally in framing anyone with respect to what we are discovering since August last year about the conspiracy to help Sue’s current appeal, then provide the evidence or shut up. 5. What the former DPP did before the SN-F case or after the SN-F case is of no interest to me. The same applies with respect to the police who were involved. The same applies to the Judge who presided over the trial .. and the Judges at Sue’s Appeal Court Decision, as well as the Judges of the High Court. This isn’t as simple as it might seem. I read Burt’s (and Invicta’s) comments. I think Burt’s most recent explanation was his 3rd attempt since he joined on TT a few months back when Invicta more or less singled me out for an attack. If lawyers have a difference of opinion, and if a lawyer has a difficulty expressing the law to a lay person in a clear and concise fashion, then I accept that a lay person (such as myself) needs to figure it out on their own in light of what was provided above and elsewhere. 7. I generally stayed away from commenting on legal matters because I am aware that law, like any other profession that has a prerequisite of several years of study, has it’s own quirks. I am too independent to trust opinions of Dr Bob Moles or Mr Robert Richter QC. They may have their own motives or an incomplete and incorrect interpretation of the case evidence .. and they sure do. Ps: Several people do have issues with respect to the police, or the former DPP or some Judges of the Supreme Court. I was aware of that before Burt wrote anything about it. I would very much prefer that people stick to the trial evidence, and to whatever evidence has surfaced since the trial. Geraldine’s approach (on which Burt commented) is a cheeky attack on the judiciary .. the former DPP, I gather. #80 ... Dr Peter Lozo, I have attempted to answer your #76 with some background information that a great many people are oblivious to. I am unable to detect the bullying you refer to in your #76. I am fully aware that I have a habit of firmly stating my opinions on established facts, so please note that speaking factually is not bullying. Currently, Australia is ablaze with a mega number of corporate tax cheats, however I understand that this may be of no concern to you. However I hold the opinion that matters of this kind are perpetuated by Federal governments that are busily ignoring this long-term threat to our Australia, and that they should seek for more time and interest in this forum’s comments than the repetitively themed opinions you submit on a daily basis. When is enough, enough, to conclude this interest of yours in the SN-F case, as all of this prolonged commentary by you will not make a dicky-bird of difference to the current or future status of the SN-F case? I do understand the concern for the mystery, as well as the curiosity of this case decision and its circumstantial only presented evidence that SN-F has been adjudged guilty. If the SN-F case matter holds a great interest to yourself, well and good, but surely you as a professional physicist could quietly accept that your verdict, in this case, is sound .. and then leave the matter to its prolonged flight into destiny. So, is the sole reason you have kept this SNF case matter afloat by your constant prodding for some 2-3 years is because this offers its only apparent purpose, namely to attract comments from others so you can immediately demolish each counter opinion offered? Yes, Geraldine #67: the statement prepared by McLaren and Ash was in my opinion, innocuous. I have viewed the footage of their preparation of that statement when I was recently present while a film recording was shown to the Court in Hobart. Det Sinnitt had been giving evidence. The film contained nothing to indicate any dishonesty or coercion on the part of McLaren or Ash. I transcribed the statement – word for word – just as in that film Eve Ash did, she sitting at her keyboard while Colin McLaren, standing, moving, dictated it. Given that Mr Percy (at Justice Brett’s instigation) is at present seeking an affidavit from Colin McLaren, I will not at the moment publish my transcription of the text of that statement (the one which was prepared-for-Vass’s-signature). ‘Burt’ left this comment thread with the following thrust: “Of course , that is only from a High Court Judge, and what would they know, compared to a film critic?” In the wake of Burt’s departure I’m left with the knowledge that the High Court – including then Chief Justice Gibbs ‘got it wrong’ in the Chamberlain case. Sometimes the people at the top do get it wrong. Don’t think, Geraldine, that I’m comparing Pfennig v R  to either the Neill-Fraser or the Chamberlain case and, to tell the truth, I don’t see why ‘Burt’ quoted from it at all. There is no ‘false trail’ scenario in the Neill-Fraser case, not in the sense of the literal false trail laid by Pfennig. From my brief acquaintance with the Pfennig HC appeal decision, his case seemed to hinge more on the admissibility of certain evidence relating to an accused’s ‘propensity’ for certain acts. By the way, ‘Burt’ has not given a correct reference to that case – he seems to have added an ‘n’, ie, rendering that person as Pfenning. It was interesting however, to see that Dr Manock had given evidence to the court in the trial of Pfennig. Burt’s final #65 comment … what are we to make of it? Pretty much a swipe ‘on the way out the door’ at Andrew Urban, William Boeder, John Hayward and at you, Geraldine, and at myself. I have to say also Geraldine, that knowing how that statement was prepared (by McLaren and Ash) and knowing what it contained, and realising therefore that the police and the DPP are aware that there was no wrongdoing involved in the preparation of the statement, I am struggling to understand why it was shown to the court during the recent evidence given to the SN-F Application-for-Leave-to-Appeal court hearing by Det. Sinnitt. What was DPP Coates’ motivation I wonder, in seeking to have the film shown? #82 ... Garry, I was going to reply in some detail here today, yet you’ve summarised what I might have not-so-academically written. Your articulate comment has saved me further input. I had intended quoting from the transcript of August 2018 hearings where relevant. I won’t bother for now as you have correctly endorsed what happened. From what is publicly available, there is hardly any information in that Stat Dec of Vass to work out who the other people were. She ran away on a dinghy? How on earth would she know how to operate a dinghy? Whose dinghy? How did the other people escape if Vass took the dinghy? Where did she go with the dinghy when she left the yacht? On which side of the yacht did they board? Did she provide any details about the Four Winds? Where was the fight and what weapons (if any) were used? Too fanciful! But SN-F supporters are buying it. Mr Boeder (and Mr Hawyard) keep trashing the Tasmanian judicial system and therefore think that the proceedings that went during SN-F’s trial (and what is occurring now) cannot be trusted, but Mr Boeder hasn’t yet provided a reasonable rational explanation of what in the SN-trial, or the first appeal, or the current right-to-appeal cannot be trusted, and why it cannot be trusted. If McLaren did not manufacture the false statement then he should front up to the Supreme Court for a cross-examination. The only reason SA’s DPP dropped the case against Henry Keogh 4 months before the 3rd Trial was scheduled to start is because a key prosecution witness was not available to be cross-examined, due to illness. The DPP stated that without that witness the State could not prove certain things beyond the reasonable doubt. That is not to say that the State did not have a fresh explanation as to how Ms Cheney was drowned. I therefore assume that in the SN-F case, the Stat Dec by Mr McLaren is only to be legally accepted by the Court if he actually shows up for cross-examination. Gleeson and Vass showed up. So should McLaren. Garry asks: What was the DPP’s motivation for showing the film? Perhaps to inform the Court that there is evidence that McLaren likely manufactured the Vass statement! If people want to know the truth as to what is going on, then surely they want to know whether what the police uncovered was a sinister plot by McLaren, or whether there is a simple and innocent explanation for why the Stat Dec for Vass was prepared as shown on the video. Ps: Like I said before, Barbara Etter most probably quit because she was too smart to believe the new statements of Vass and Gleeson. The police officer instinct in her must have kicked in. I am actually sad that things ended for Barbara Etter the way they did, particularly her loss of licence to practice law. I have been aware for several years that there has been a significant push (particularly by Dr Bob Moles of Adelaide) to have a National Criminal Cases Review Commission. So why did I start this post with reference to Barbara Etter? I was hoping that Barbara Etter would become the first Commissioner of the Australian National Criminal Cases Review Commission. Had there been an independent review of the Henry Keogh case, I would have recommended Mrs Etter to lead the review. I am trying to stay neutral with respect to Burt’s opinion about a few people and the subsequent responses by William, Geraldine and Garry. For what it is worth, I did sense anger in Burt’s approach. Mr Urban has clearly demonstrated that he isn’t objective; is suppressing from his website certain information, such as the information related to Mr Hughes’ testimony during Sue’s trial; hasn’t demonstrated any significant ability to reason about the evidence; relies too much on Dr Bob Moles’ opinion (and the opinion of a few QCs) rather than showing an independent ability to reason through the case evidence to then arrive at a conclusion that the rest of us can assess for accuracy, completeness, objectivity, the flow of the argument, etc; appears to have been easily influenced by Eve Ash’s documentary (as were too many others to list here); did not bother to check whether Dr Moles’ various statements were factual or incorrectly interpreted; etc. You are all experts in visual perception, although you might not have the scientific knowledge as to how the visual system works! Some of you do not seem to bother to take much notice of how the world and objects in the world look like under various weather conditions, lighting levels and the direction of the light source. None of SN-F’s supporters seem to have bothered (until it was pointed out to them in early 2015) to list all the eyewitness statements about all dinghy sightings, and then compare the various statements about the Four Winds dinghy with various statements about the dinghy that was spotted at port-side of Four Winds. None of SN-F’s supporters seem to have bothered (until it was pointed out to them in early 2015) to obtain all the relevant information from the Trial Transcript about the viewing geometry and the orientation of Four Winds, and to check the location of the sun (as seen from the mooring of Four Winds at 4 pm and 5 pm) in order to work out whether it could have been Sue’s dinghy at the port-side of Four Winds but was perceived to be grey. I asked myself: why aren’t these people carefully analysing the physical circumstances under which various people saw a dinghy? My guess is that either none of them were trained in critical analysis, or they just did not think it being relevant. Gary Stannus is the only SN-F supporter (other than Barbara Etter on her own blog) who have demonstrated any significant ability to rationalise and critically analyse. But their approach, amazingly, somehow always tends to end up in favour of SN-F regardless of what they are analysing! Is there not a single thing that Garry can find that, in his own view,implicates Sue in Bob’s murder? Was there a plot to frame Vass? “In the video he tells Ms Ash to leave a space for her to sign it and another line at the bottom and he would then “turn it into a witness”. “The video, played in court, also recorded Mr McLaren saying that it was “the statement you do when you don’t have a statement” and commenting that Ms Ash’s “lawyer friends will all go up in arms”. It seems to me that McLaren either “knows” or believes that Vass is the killer. My best prediction based on the above, when combined with the Vass and the Gleeson cross-examination (and all other evidence, as well as my own own analysis since early 2015) is that the intention appears to have been to frame Vass! After all, who would believe her compared to an ex-cop who appears to have had a distinguished police career?